(Tuscaloosa, AL) Creative Campus is pleased to announce “2010: A Space Oddity” as the intersection of space science and science fiction. ASO is a collaborative convention through Creative Campus to express and boldly explore relationships between the worlds of space science (astronomy, physics, engineering, and computer sciences) and science fiction (writing, film, music, and art) and how the two play off one another to create and inspire. As Carl Sagan once said, "Imagination will take us to worlds that never were. But without it we go nowhere," this statement rings truest in our desire to explore all of the outlets of these two in a creative, educational, and fun environment. “2010: A Space Oddity” will be at Shelby Hall on Saturday March 6, 2010 from 9:30am to 8:00pm. ASO is free and open to the public. Registration is strongly encouraged, especially for parties interested in participating in the writing workshops. Elements of ASO range from lectures and panel discussions to writing workshops and sci-fi inspired art galleries. The Saturday Space Oddity convention is the culminating event of a three day series of celebrating the intersection of science and creativity. For more information, registration, and schedule please visit www.creativecampus.ua.edu. Come and join 2010: A Space Oddity on Thursday, March 4th at Lloyd Hall, Room 38, as we boldly explore the world of science fiction and gaming with a free panel hosted by ABXY beginning at 7:30 p.m. Following ABXY, sit back and enjoy a presentation hosted by UA Astronomy professor Dr. William Keel on galactic objects and the rise of the amateur astronomer. We invite you to go star gazing with the Astronomy Department at Moundville Archeological Park on Friday, March 5th, 2010 beginning at 7:00 p.m. Come out and enjoy observing nebula and star clusters with Dr. Keel who will be hosting the evening's free viewing. Below is the link again for the Astronomy Dept. public viewing website, http://www.astr.ua.edu/Public.html. The Sci-Fi portion of ASO will function to help writers become better craftsmen of science fiction through workshop interactions. Participants will also have the opportunity to sit in on personal readings by other published writers, Q & A sessions, and lectures on story development. There will be two options for Workshops. One workshop will be a group free writing exercise based off of a prompt. Another workshop will be devoted to reviewing your work. How can you get involved? When you register for ASO, there is an option to include a word doc. To participate in this aspect of ASO, you must have registered and submitted your piece for workshop by March 1. This allows all participants adequate time to read and review the pieces prior to the workshop day. You will be contacted via email with your workshop time and provided with attachments of your group's workshop samples. *Please keep all short story and excerpt pieces to a maximum of 4 pages (double spaced, 12 pt font). *You may submit two poetry pieces. For time constraints and group sizes, please chose to participate in only one genre (poetry or prose) for workshop purposes. Additionally, if you would like to participate in both the free writing and prepared piece workshop, please notate this in the "It would be cool if A Space Oddity had..." portion of the registration. The writing component of ASO is not meant to act as a contest or competition of any kind. It is merely there to provide writers a common ground and meeting place to discuss their work, grow as artists, and to build camaraderie with other like-minded individuals. Lou Anders - Lou Anders, three time Hugo nominated Editorial Director and Chesley Award Winning Art Director of Pyr Books. 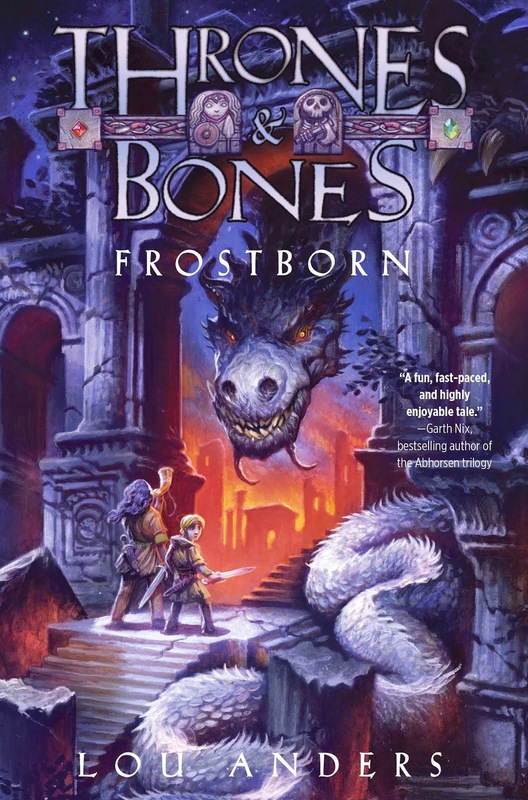 Lou has worked on several various anthologies such as With Great Power... (Gallery Books, July 2010), Swords & Dark Magic (Eos, June 2010, coedited with Jonathan Strahan), Fast Forward 2 (Pyr, October 2008), Sideways in Crime (Solaris, June 2008), Fast Forward 1(Pyr, February 2007), FutureShocks (Roc, January 2006), Projections: Science Fiction in Literature & Film (MonkeyBrain, December 2004), Live Without a Net (Roc, 2003), and Outside the Box (Wildside Press, 2001). In 2000, he served as the Executive Editor of Bookface.com, and before that he worked as the Los Angeles Liaison for Titan Publishing Group. He is the author of The Making of Star Trek: First Contact (Titan Books, 1996), and has published over 500 articles in such magazines as The Believer, Publishers Weekly, Dreamwatch, DeathRay, free inquiry, Star Trek Monthly, Star Wars Monthly, Babylon 5 Magazine, Sci Fi Universe, Doctor Who Magazine, and Manga Max. David C. Kopaska-Merkel - David C. Kopaska-Merkel is the editor and publisher of Dreams and Nightmares magazine, and was for six years the editor of Star*Line, the journal of the Science Fiction Poetry Association. Fourteen previous chapbooks and hundreds of poems and short stories have been published in dozens of venues since the early 1980s. Joanne Merriam - Joanne Merriam is a former Executive Assistant of the Writers’ Federation of Nova Scotia. After quitting to travel Canada by train, and then parts of the Northeastern and Southern United States with her husband Alan Slone she wrote her first book of poetry The Glaze from Breaking (Stride, 2005), which was written, in part, about those travels. Joanne Merriam’s poetry and fiction has appeared in dozens of magazines and journals, including The Antigonish Review, Asimov’s Science Fiction, Astropoetica, Chiaroscuro, The Fiddlehead, Grain, The Magazine of Speculative Poetry, Riddle Fence, Room of One’s Own, Strange Horizons and Vallum Contemporary Poetry, as well as in the anthologies Ice: new writing on hockey, To Find Us: Words and Images of Halifax and The Allotment: New Lyric Poets. Wonderful news this morning. 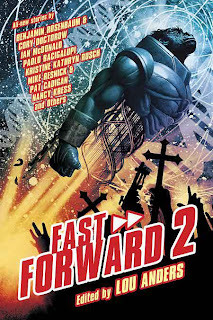 Paolo Bacigalupi's "The Gambler", which originally appeared in our anthology Fast Forward 2 , has been nominated for a Nebula Award in the Novelette category. 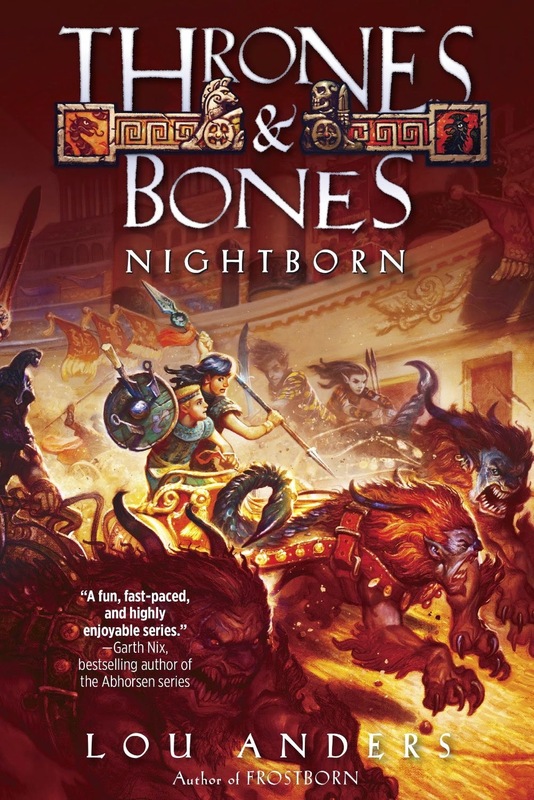 Congratulations to Paolo on this, and also on his nomination in the Novel category for The Wind-Up Girl (from Night Shade Books). "The Gambler" was previously a Hugo award and a Theodore Sturgeon Memorial Award nominee. So if you haven't read it already, you might want to read "The Gambler" in its entirety on the Pyr Sample Chapters blog here. The Nebula Awards are voted on, and presented by, active members of SFWA. The awards will be announced at the Nebula Awards Banquetthe evening of May 15 at the Hilton Cocoa Beach Oceanfront, just 20 minutes from the Kennedy Space Center in Fla. Other awards to be presented are the Andre Norton Award for Excellence in Science Fiction or Fantasy for Young Adults, the Bradbury Award for excellence in screenwriting and the Solstice Award for outstanding contribution to the field. Because I never get enough of listening to Gene Wolfe talk. 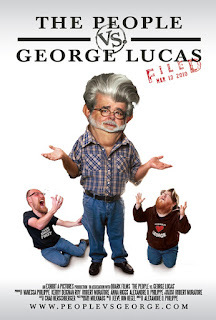 I've just been informed that "after 2 1/2 years of intense production, 63,686 frequent flier miles, 634 hours of footage, 14TB of drive space, 126 interviews, 719 fan submissions, and countless white nights," THE PEOPLE vs. GEORGE LUCAS is complete and will world premiere at the prestigious South by Southwest (SXSW) Film Festival in Austin, Texas (March 12th to March 21st 2010)! Another great post by Jon Schindehette in his ArtOrder "Ask the Art Director" series. This one asks, "Can I Be a Cover Artist?" Great responses from artist Todd Lockwood, Tor Art Director Irene Gallo, Wizards of the Coast's Kate Irwin, illustrator Ralph Horsley, CthulhuTech Art Director Mike Vaillancourt, and Yours Truly. For anyone interested in illustration, not just those looking for a career in it, the post is well worth checking out. "The book was near impossible to put down," says Neth Space on Kristine Kathryn Rusch's Diving into the Wreck. "Diving into the Wreck was something of a departure from my usual fair and a departure that rewarded me well. The deep introspection combined with palpable tension created a near-perfect balance throughout. And Rusch does it all less than 300 pages. This one isn’t just for fans of traditional science fiction. 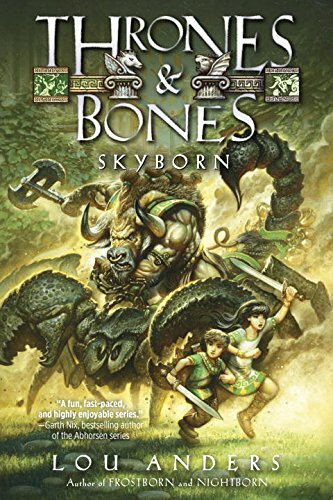 8/10"
Meanwhile, Elitist Book Reviews says of Mark Chadbourn's The Silver Skull that it is "one of the funnest books we have read. Period. 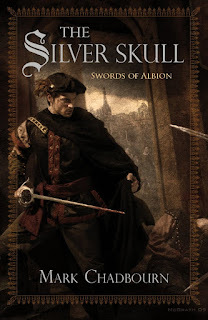 Imagine a James Bond story, but way more awesome, set in an alternate Elizabethan England. This is what you get in this book." They go on, "The Silver Skull reads at breakneck speed and never relents. In one scene, there is a carriage being chased and careening all over the road, threatening, at any moment, to spill over. We felt the way the characters in the carriage felt while reading this, and oh was it fun. It takes only a chapter or two to get going and then doesn't stop." Locus magazine have released their Recommended Reading List (also published in their February issue). 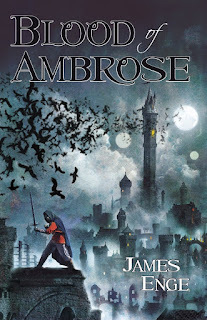 James Enge's Blood of Ambrose appears in the category of First Novels. Ian McDonald is on for Cyberabad Days for Collections, and from that collection, "Vishnu at the Cat Circus" is on for Novellas. The UK edition of Paul McAuley's Gardens of the Sun also made the list (ours comes out in March).